Proper waste management has become increasingly important in the day-to-day running of the environmental department, in parallel with the DIA Group’s focus on fresh produce and ready meal solutions. This change in activity has led to the need to invest more in staff training, both in stores and warehouses, and in the strengthening of procedures used for the separation and valuation of waste. As a result of this initiative, during 2017 the company managed to reduce its landfill waste thanks to the recovery of useable fractions and the implementation of new options such as biomethanisation and the evaporation of the remaining fraction. In general terms, including the other categories, the DIA Group has managed to reduce its waste by 7% in relation to 2016 and slightly improved the percentage of landfill waste, which is now at 32.6%. In other words, 67.4% of the non-hazardous waste generated by DIA is recycled or reused. Hazardous waste (batteries and fluorescent lamps and tubes), which amounted to 72,204kg, is managed in accordance with the regulations in each country. Our modern lifestyle has increased the consumption of resources, as is the case with expanded polystyrene (EPS), leading to an exponential increase in the quantity of landfill waste (1.3m tonnes a year in Europe). For a retail distribution company, the fight against waste is a key issue for its business profitability. Possibly because of this, distribution may be the link in the food chain that generates the least amount of waste, representing 5% of total food waste in Europe. In the case of DIA, the company is fighting waste through three main courses of action: prevention, providing food to the most disadvantaged people, and public awareness. Regarding the first course of action, the restocking and stock management systems allow the company to only place the necessary amount of products in stores, and link commercial activities with their expiry dates. Thanks to this system, which aims to be improved on the back of one of the projects financed by the Nexus programme on dynamic prices, the DIA Group has already achieved shrinkage levels that are below the sector average. Despite these efforts, there is always some excess product that cannot be sold but is okay to be consumed. These products are donated to various organisations through a system that is integrated into DIA’s logistics process. In Spain, DIA has had an agreement with the Spanish Federation of Food Banks since 2009 whereby it makes periodic deliveries to various soup kitchens nationwide. In 2017, 808,900.5 kg of food were donated from shops and wharehouses, then reducing the remaining fraction generated (306-2). Raising awareness is key in the fight against waste. 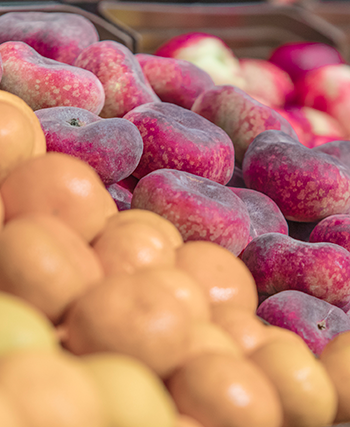 Since its creation, DIA has been involved in the “La Alimentación no tiene desperdicio” initiative led by AECOC, in which more than 350 manufacturers and distributors are currently involved. The project has three main objectives: to establish prevention and efficiency practices along the entire food chain; to maximise the use of excess products along the entire value chain (redistribution, reuse, and recycling); and raise public awareness about this problem. In addition, the support of projects such as that of Plant Jammer, and of Nexus by DIA, will help consumers to improve their meal planning and make the most of the ingredients in their kitchens, which could imply a significant reduction in food waste at the very end of the chain.